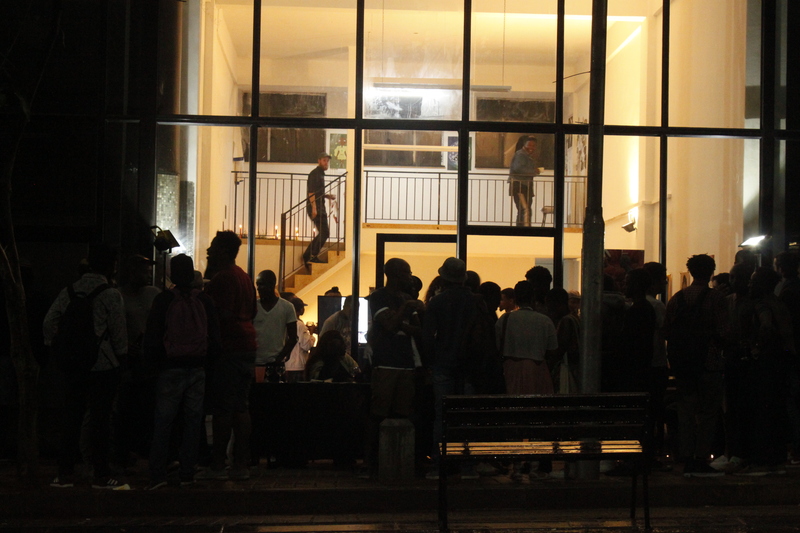 I had to go; painstakingly I scanned the internet for airbnbs’ round the area – that did not work out – through my mother I found a proposal: Mpilo, I will take you to the exhibition – if you pour petrol. I arrived late, we experienced a tad of traffic leaving Pretoria before joining the flow in freeway to JHB. Navigating this GPS, I did not panic although the street – Reserve – was hard to find. 3 Reserve str, is a street (and place) in Johannesburg Braamfontein where the exhibition was held. The Lost in the world exhibition are works under the theme gentrification, addiction and spiritual poverty – from Umuzi Photo Clubs’ students.. The polestyrein was more expensive then ifele le nkomo. i remember this piece vividly because mama was ready to buy the crockery and silverware, they ranged from 2c – 5c. I was ready to buy the traditionally made mpahla but it cost R2500- R5000. A solid take on gentrification. relax and be. your are because you create. a two-level room of works and conversation. I am glad to have documented this. I hope you got to feel being there at 3 Reserve street. Thanks for the heads up. Gentrification is a big issue that is going to make the next decades even more complex.